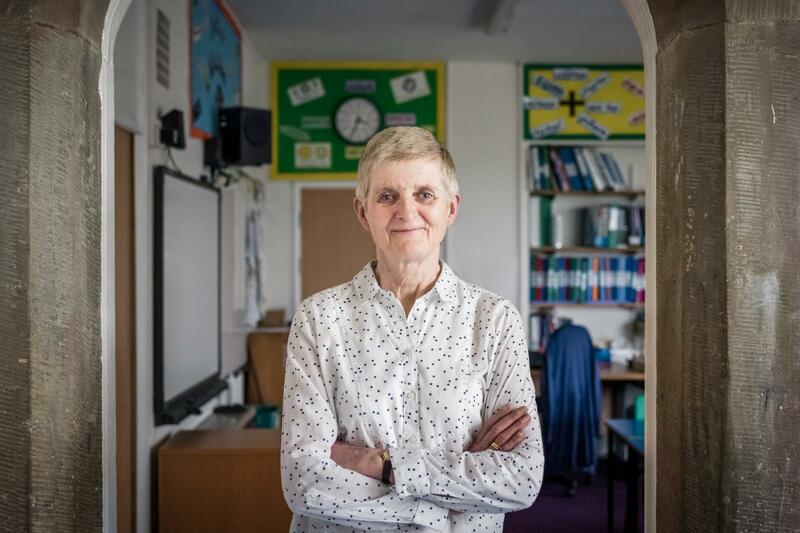 We spoke to Susan Little, head of Key Stage 2 at Wiggonby Primary School in Cumbria. We asked her all about teaching, her experience with Explorify and the impact it had on her class. Can you tell us about your school and your teaching career? I have been teaching for 37 years at Wiggonby, a small rural school. I teach a mixed-aged class of 29 children, Years 3-6 but only the children in Years 5 and 6 were involved in the pilot. Your biggest challenge in the classroom is getting activities to work across age ranges. Can you tell us about that? Differentiation is important. You have to do a lot of planning for a mixed-aged class of varying abilities. However, I’m an experienced teacher and I get to know my pupils very well – they’re in my class for four years. I often use mixed-aged groups for activities in science and non-core subjects so that the older children can mentor the younger pupils. Some children will need extra prompts, support and encouragement; I have to consider alternative approaches and teaching techniques to overcome difficulties and challenge the more able. What was it like for you being on the initial pilot where the activities were tested? The experience – being part of something big and special – was very exciting. I’m glad I told my class it was a pilot, because they felt very important. They were telling the other children, took it very seriously and concentrated a little bit harder I think. How did it change your approach as a teacher? I became more focused, more tuned in to looking at my pupils’ thinking. I’ve continued to use a variety of the Explorify techniques, as they were very effective in developing thinking skills. This progress was obvious in a few short weeks. I now encourage and coach my pupils with their thinking skills in most lessons. What was the children’s experience with Explorify? The children felt they had been given an important task and so acted responsibly, tackling each activity seriously. They realised that the experience had developed their high-level thinking and were all very proud of themselves – and I was proud of them all too! Because there was always more than one answer, I also got more children giving feedback, because it wasn’t just right or wrong. That helped the shyer children. However, I’m going to revisit where they had to plan something – such as an experiment – as I think they needed a bit more time to develop their skills to do that. They weren’t actually questioning things enough or thinking how they could set up an experiment to prove or disprove something. When I’m preparing my science or other lessons, I will bear this in mind. How did they change their approach as pupils? The children were very aware of their developing thinking skills. If someone came up with a really good justification or a good point, I would say: “That’s good thinking skills, your skills are getting higher.” And then they were shoulders back, realising that this is what it was all about. It was about encouragement. Even the less able, they were putting comments in, even if it was a difficult idea. There was that encouragement to join in. It was about teaching them that if you challenge something, it’s not being rude, it’s saying “Have you thought about this point?” They began to express and justify their opinions and challenge others in a very sensible, thoughtful way. They also realised that it was better when they shared their ideas. That definitely helped some of the shyer children who don’t say much in a larger group – they came into their own in the smaller groups; it worked at their level. How often did you do the activities? Not every day, but at least once a week. The activities weren’t too long and so were easily built into the school day. Have you signed up for the next programme? Will you? I’m very keen to be involved in the next programme. Children need opportunities to work in groups with high-quality discussion and to clarify their ideas. Why do you think developing better thinking is so important? Because it’s necessary to develop our ability to take in information, make links and come up with new ideas and solutions. If we don’t equip children with the skills to understand, appreciate, transfer or connect ideas, we’re failing them. It’s hard to choose, because I was pleasantly surprised with the children’s responses in all the activities. However, the building activity ‘Mission Survive’ was probably the children’s favourite – there were a lot of emotional responses. They got very attached to their stick creatures! There was good feedback from parents too. But really, I couldn’t fault any of the activities, they were great! What’s your advice for other teachers embarking on using Explorify? I think you need to run it on a regular basis. If it’s only once a week and you say, “We’ll come back to this,” it will lose momentum. And be prepared for an activity to not always take 15 minutes. If it’s going well, you perhaps need to let it run a little bit longer. Explorify is also quite a good assessment guide. You could do it as an assessment at the end of a unit, because you can see the knowledge coming out of the children, or at the beginning, to see what they know. Good thinking requires regular practice so it can develop over time, and Explorify is great for doing lots of investigating and experiments while developing quality thinking skills. The activities capture children’s curiosity – they want to be involved and discover more for themselves. Everyone – teachers who are experienced as well as newly qualified teachers, teaching assistants and students.